A Congressman said that the real connection is made in the same manner that insurance agents meet with their clients, by building trust. Washington, D.C. — Blaine Luetkemeyer, R-Mo., Chairman of the Housing and Insurance Subcommittee, opened the 2015 NAFA Annuity Leadership Forum with a call to the emotions of our country’s lawmakers. 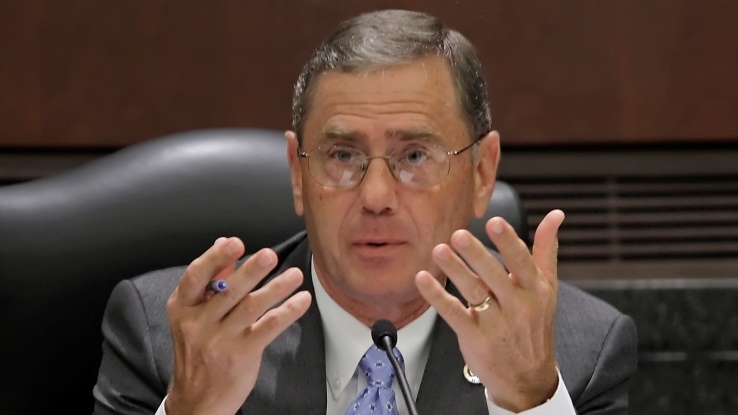 While legislators may, at times, seem removed from the problems of regular Americans,Luetkemeyer said that if constituents want to get through to their Congressmen, then telling real stories about real people is the way to make a connection. As Congressman Luetkemeyer concluded his speech, he reminded the audience that he and other legislators see enough spreadsheets and sit through enough tedious meetings, but that the real connection will be made by having people from the insurance industry meet with their Congressmen and communicate with them in the same manner that they meet with their clients. “You build trust,” someone shouted. Check out more of our NAFA coverage here.